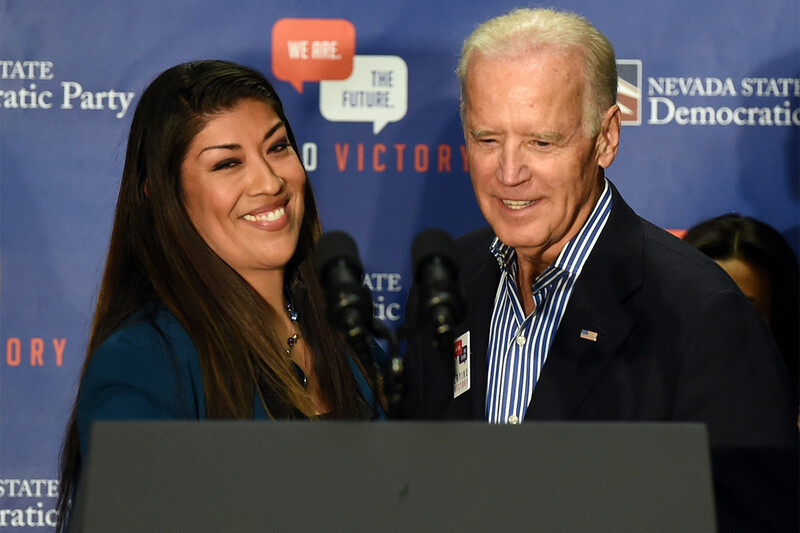 In an interview, Lucy Flores says she came forward now because she fears Joe Biden would make it harder for Democrats to contrast with Trump on the treatment of women. The former Nevada lawmaker who accused Joe Biden of giving her an “awkward kiss” in 2014 said Sunday she decided to go public because she wanted to force Democrats to confront his inappropriate behavior as the former vice president decides to run for the White House. “It’s so easy to Google ‘Creepy Biden’ and you get all these compilations of pictures and video evidence of young women and women looking very, very uncomfortable,” Lucy Flores, a former Nevada assemblywoman and 2014 candidate for lieutenant governor, told POLITICO. Flores said the Democratic nominee will need to differentiate herself or himself from President Trump, whom she described “as a full-on sexual harasser, misogynist and probably sexual assaulter” who is far worse than Biden. But Biden’s baggage makes it harder to draw a sharp break with Trump, Flores said. Previously, Biden’s aides have issued two carefully worded statements about Flores’ accusations. The latter, released before the Sunday TV political shows, asserted that he “offered countless handshakes, hugs, expressions of affection, support and comfort. And not once — never — did I believe I acted inappropriately. If it is suggested I did so, I will listen respectfully. But it was never my intention. A slew of Democratic candidates for president said they believed Flores, while allies of Biden tried to discredit her. Biden has not called Flores to discuss the matter, and she said she doesn’t expect him to. Biden has sounded contrite before without following up. In 2017, he said he owed an apology to Anita Hill for the way he, as chairman of the Senate Judiciary Committee in 1991, handled her sexual harassment accusations against Supreme Court Justice Clarence Thomas. But as of 2018, Hill told Elle magazine, Biden hadn’t called her. Biden last week offered another public apology to Hill and expressed regret about the way her hearing was handled. But Flores said that statement, too, lacked substance. Flores said she knew Biden’s allies would attack her after she came forward, but she’s also been encouraged by the support she’s received, too.